With the 8 Series Coupe out of the bag, BMW is now in the precursor stages of unveiling two more body types within the 8 Series. The Convertible is going to be the first to come out of the shadows, with a world debut set for the upcoming LA AutoShow, which is to open its doors next month. The Internet debut is set for November 1. The 8 Series Convertible will be following closely in the footsteps of the 8 Series Coupe, of course, sans the roof. The retractable cover will be made of textile material and soon that will become the only choice for BMW drop tops as the 4 Series was spotted undergoing tests using a similar setup not long ago. Up until the new 4 Series range comes out, the 4er will be the only hardtop on the market, including its rivals. 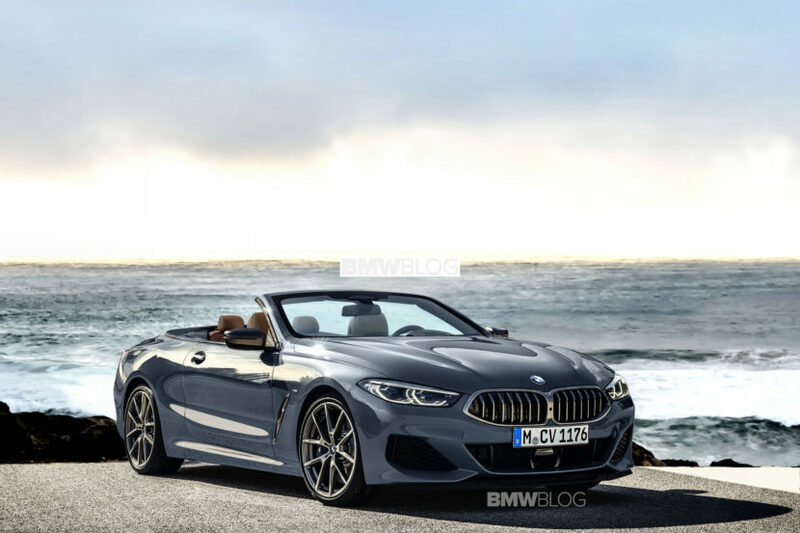 As the 8 Series Coupe, the Convertible will be offered with the same range of engines and will most likely be considerably more expensive than its fixed-roof brother. Another variation of the 8 Series body style is also set to arrive in 2019, the BMW 8 Series Gran Coupe. All three models will be offered in M guise, as an M8 Coupe, M8 Convertible and an M8 Gran Coupe are set for launch next year. As we already said BMW is planning a huge M offensive by 2020 with no less than 7 models expected by then, all of them real M cars.